I took this photo about an hour before sunset on February 13, 2019. The moon was so beautiful. 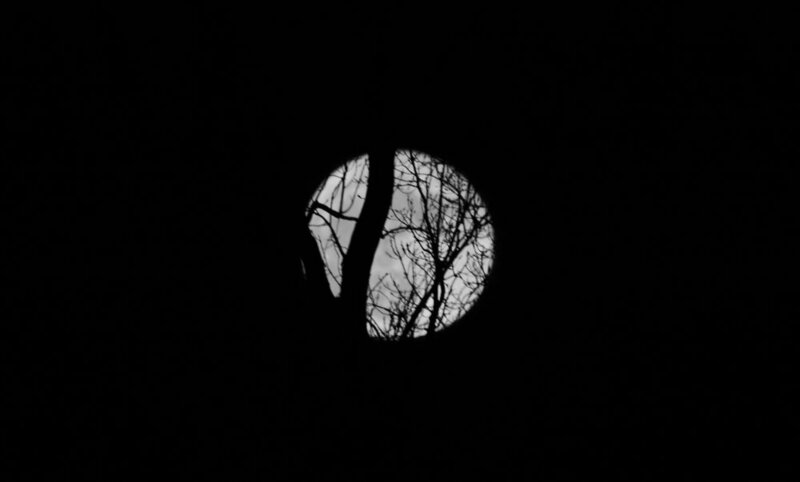 Most of my moon photos I capture are of a full moon, but this shot made me happy. Great color, and rich details. By the way, if you look up in the night sky you may get a view of the ‘supermoon’. We have one more supermoon this year, and that is on March 20. This one will be the last of three in 2019. You can read more about this years supermoon trifecta here. Over the weekend, Mother Nature dropped some ice and snow on us. I woke up early Sunday and took a drive to get a few pre-dawn photos. 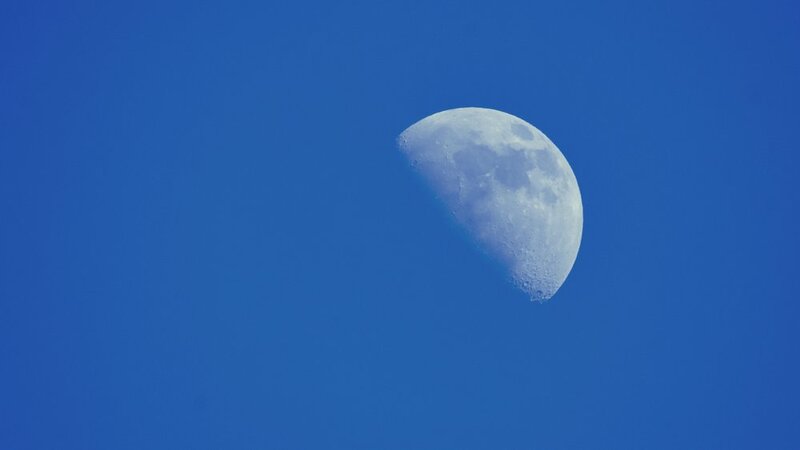 The first photo is of the moon. The second is of downtown Piqua. There was no traffic, so I pulled over and stood in the middle of the road, facing south and took the second photo. The street crew removed the heavy snow, but left behind this nice layer of ice. It was beautiful in a winter sort of way. I took a series of photos of the moon early Monday morning. The pre-dawn photo above was taken on my iPhone. I was out for a walk, trying to get in some exercise. When I looked up, this was the view. I used Halide, a photo app. It allows manual settings, and I think it gave me the best photo possible on a mobile device. (Disclosure: affiliate link to a really great app). The next two photos were taken after an early breakfast 🙂. I used my DSLR and a 600mm lens for both of these photos. The sun rise was behind me and behind the mountains. A blue sky and a full moon at Yosemite National Park. I guess the exposure settings were slightly different for these two photos.